We offer a wide range of heating and air conditioning installation, maintenance and repair services in Chattanooga, Ooltewah, Cleveland, and everywhere in between! Not only do we provide residential HVAC services but we also serve commercial clients as well. Using our strong industry contacts, we can install a wide range of HVAC equipment and types and specialize in Lennox heating and cooling products. Give us a call at (423) 702-6399 and fill out the form for a quick free quote. Heating and air conditioning are vital parts of your home and ensure your house will be warm in the winter and cool in the summer, even in extreme weather conditions. Heating and AC units can vary from home to home, so it’s important for you to choose an experienced company with years of experience. We are a family-run heating and air conditioning company based in Chattanooga, TN, offering a wide range of HVAC contractor services to ensure your home is comfortable year round. Our services include air conditioning repair, heating, preventative maintenance, system replacement, and more. Are you looking for air conditioning services from professionals you can trust in your home? We are committed to providing a positive customer service experience and to making you a customer for life. We want to help keep you comfortable, whether that means selling you a new energy-efficient system or just helping you understand how to work your thermostat. Work with our team for all of your air conditioning needs, whether you have a traditional central AC, a packaged HVAC unit, a heat pump, a ductless system, or a geothermal system. Or call us to learn how you can upgrade to one of our more efficient options. 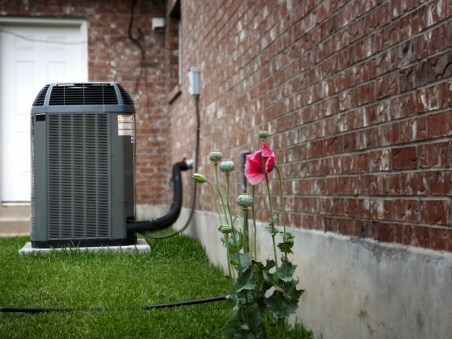 We are skilled at finding homeowners the perfect cooling systems for their unique needs. We can also recognize problems quickly, and we are always honest with you about what type of repair you may need. Call today to schedule AC repair or installation. Looking for the right central air conditioning system but not sure where to start? Take a look at the types of systems we offer to customers in the Chattanooga, TN area. Central Air Conditioners – Central split–system air conditioning systems have an indoor unit and an outdoor unit, circulating refrigerant between the two to absorb heat from the inside and move it outdoors. A blower fan moves the cool air through the ductwork to the rooms of the home. Heat Pumps – Heat pumps use the same process as a standard central air conditioner, but they have valves that allow refrigerant to reverse. Not only does a heat pump remove heat from the air to cool it down. It also moves heat from the outside air to the indoors in the winter, a very efficient heating process. Ductless Systems – Ductless heating and air conditioning systems use heat pump technology to move heat in and out, but they do not need the ducts to move air through. Instead, air blows directly from an air handler mounted on the wall. Geothermal Heating and Cooling – Geothermal heating and cooling systems use the earth’s relatively stable heat energy to move heat into a space, a process that’s more efficient than using the heat from the air, which can fluctuate quite a bit. We provide comprehensive air conditioner services for residential systems of all shapes and sizes. This includes the AC services listed below. Call for more information! AC Installation/Replacement – We ask you questions, work with you to get the right unit, carefully measure your home, and install the system just right to ensure it works at peak efficiency. AC Repair – We’ll show up on time for an appointment, but we also offer emergency hvac repair services. AC Maintenance – Our AC tune up services include complete inspections, the potential to restore efficiency and improve performance, discounts on parts and services, and no overtime charges for emergency repairs when you join our program. Thermostats – We have thermostats to fit a wide range of needs, including smart thermostats that you can operate from an app on your phone. Zone Control Systems – This puts a thermostat in different rooms of the house, to keep some rooms cooler or warmer than others. Ooltewah HVAC Contractors – Call us today to schedule air conditioning service 423-702-6399! Looking for more leads for your business? Contact Chattanooga Marketing Group, your local SEO Chattanooga experts. John is honest and will give you the best price around! I’ve been his client for years and he has always done a great job. I recommend him to all my friends and clients. Honest, professional, thorough and efficient! Excellent service! !